The nation’s two biopharma industry groups have come out against President Donald Trump’s proposal to cut drug prices for people covered by Medicare Part B by tying those prices to those charged internationally, and allowing private vendors to procure and distribute drugs to providers. The proposal—which follows more than a year of jawboning by Trump against rising prices of prescription medications—is projected to save Americans $17.2 billion over five years, the U.S. Department of Health and Human Services (HHS) said in announcing the International Pricing Index (IPI) payment model yesterday. “President Trump promised that he would bring down drug prices and put American patients first. With this innovative approach, he is now proposing historic changes to how Medicare pays for some of the most expensive prescription drugs, securing for the American people a share of the price concessions that drug makers voluntarily give to other countries,” HHS Secretary Alex Azar said in a statement. HHS based its IPI model on an analysis comparing Medicare spending for Part B physician-administered drugs to the prices of those drugs in 16 other developed economies—Austria, Belgium, Canada, Czech Republic, Finland, France, Germany, Greece, Ireland, Italy, Japan, Portugal, Slovakia, Spain, Sweden, and the U.K. According to HHS, the U.S. spent 1.8 times more for the drugs than the 16 countries studied. 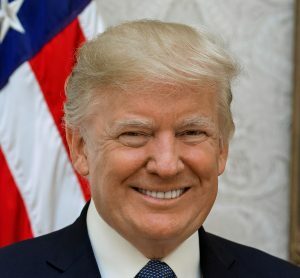 Soon after Trump took office in January 2017, BIO and PhRMA offered to cooperate with the Administration after a meeting with industry leaders in which he restated his call for lower prescription drug prices, while committing to overhauling the FDA and shortening the approval time for new treatments. Investors appeared to agree with the industry groups. Shares on three key exchange-traded funds consisting of biopharma equities dipped this morning in early market trading: The iShares Nasdaq Biotechnology Exchange-Traded Fund (IBB) declined 1.6% from yesterday’s closing price, to $102.33 as of 9:45 a.m. The First Trust New York Stock Exchange Arca Biotech Fund (FBT) fell about 2% from yesterday’s close, to $132.25. at 9:43 a.m., while the Invesco Dynamic Pharmaceuticals ETF (PJP) began trading today nearly 1% lower at $65.52. Under the IPI proposal, Medicare would allow private-sector vendors to negotiate prices for drugs, take title to drugs, and compete for physician and hospital business. Vendors would pay for Part B drugs at a level “approaching” international prices. The IPI model would operate five years, starting in spring 2020 and running until the spring of 2025. Part B pricing is now based on drug manufacturers’ average sales prices in the U.S. plus a 6% add-on payment. Because the payment is subject to the across-the-board spending cuts or sequestration adopted by Congress, the add-on is effectively reduced to 4.3%. 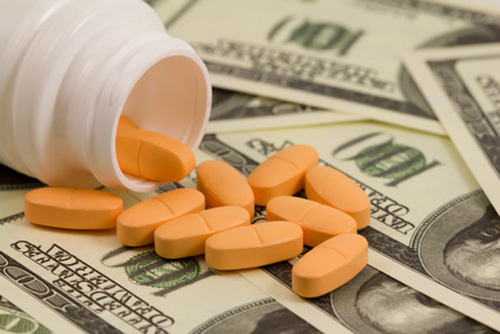 As drug prices increase, the dollar amount of the add-on grows with them, “which may encourage physicians to prescribe higher-cost drugs, and raise beneficiary and program spending,” according to the Centers for Medicare & Medicaid Services (CMS), which would implement the IPI model. CMS cited a 59% spike in Medicare Part B drug spending over five years—from $17.6 billion in 2011 to $28 billion in 2016. The increase represents a compound annual growth rate of 9.8%, with per capita spending increasing 54%, from $532 to $818. According to a Kaiser Family Foundation analysis, spending for Part B is projected to rise 5.4% between 2017-2027—double the 2.7% increase of 2010-2017, though less than the 7% hike of the 2000s, and 6.3% increase of the 1990s. “In an era where the pharmaceutical industry is pricing drugs at levels approaching a million dollars—and jeopardizing the future of our safety net programs—the time has come to fix the perverse incentives in the Medicare program that are fueling price increases,” added CMS Administrator Seema Verma. HHS and CMS detailed the drug price proposal yesterday in an Advance Notice of Proposed Rulemaking (ANPRM), for which comments are being accepted until December 31, 2018. Comments may be submitted through the CMS e-Regulation website. CMS e-Regulation website.